This homemade French dressing recipe is delicious and very simple to make. It is great on taco salads and I love using it on salads fresh from my garden! To be sure, I love making salads with fresh produce from my garden. And what's better on a salad than homemade dressing? 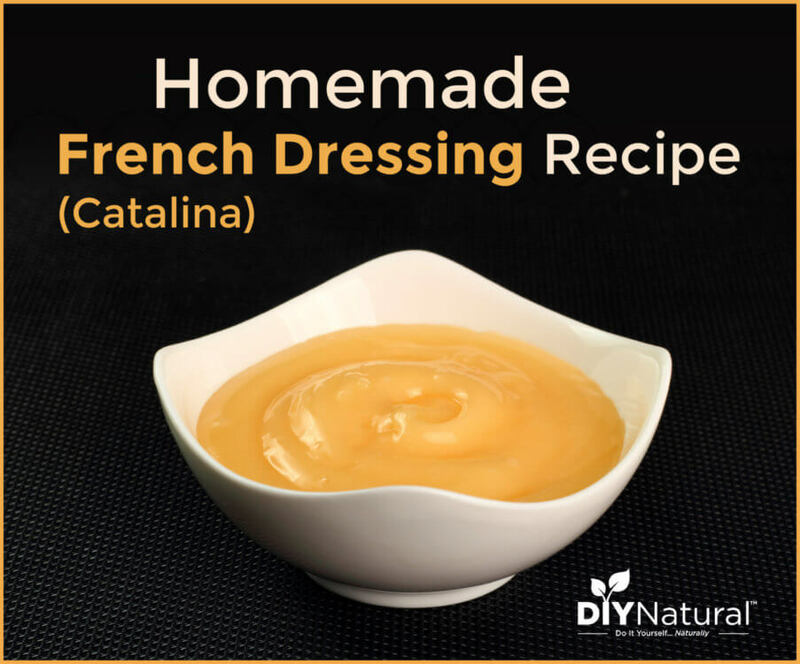 Since Catalina French dressing is one of my favorites, and it's so easy to make, I make this homemade French dressing recipe! "French dressing" is generally a pale orange and creamy, while "Catalina French dressing" is generally bright red and less creamy. Tip: if you like Ranch dressing more check out our homemade ranch dressing recipe. Start by combining the ingredients and puree in a blender, food processor, or immersion blender until smooth. Lastly, you can store your homemade French dressing recipe in a jar in the refrigerator for up to a week. You can use any tomato paste as it is very thick and will add to the texture. Tomato juice has too much moisture. If you want to use some that you have, cook it down until it is thick. Some homemade French dressing recipes include tomato, some do not, so do whichever you please. You'll need some sugar for the textural integrity, but you can use an alternative sweetener like stevia or monk fruit. If you choose to use another sweetener, start with much less, then add more to taste. Most alternative sweeteners are many times sweeter than sugar. You can use any type of vinegar, but homemade apple cider vinegar is the best. It adds a really tangy zip that you just can't get with other vinegar. Onions, like vinegar, are also subjective in a homemade French dressing recipe. Sweet onions add to the sweetness of this dressing, but you can use any type that you like. Try shallots for a milder flavor or white onions for a sharper flavor. Roasted garlic is chosen here for it's nutty, mild taste. If you prefer more of a sharp garlic flavor, you can use raw garlic. Paprika is a milder red pepper that can have heat or not, depending on which one you use. Worcestershire sauce adds a savory, umami note that helps to round out the flavor of this homemade French dressing recipe. Oil helps to build body. Without oil, your dressing will end up thin and runny. Choose an oil that you like, but make sure it's liquid at room temperature. Liquid, or fractionated, coconut oil stays liquid all the time. If you use an oil that needs to be melted, your dressing will be fatty and chunky when it chills. Salt and pepper help to bring out the flavors of the rest of the ingredients. You can also add other ingredients if you like, such as garlic powder or cayenne powder for a little heat. Like this homemade French dressing recipe, most homemade dressings are very easy to make. Have you ever made your own dressings? French Dressing. Wikipedia. Accessed March 2019. That Was Homemade French (Catalina) Salad Dressing Recipe, Hopefully it's useful and you like it.